Egypt's curfew will be reduced to 12am until 5am from Saturday, except for Fridays when it will be 7pm until 5am, the cabinet announced on Thursday. The curfew is in force in Cairo, Giza, Alexandria, Suez, Ismailia, Assiut, Sohag, Beni Suef, Minya, Beheira, South Sinai, North Sinai, Fayoum and Qena. A state of emergency imposed when security forces dispersed two pro-Morsi sit-ins on 14 August, was extended by interim President Adly Mansour for two further months on 12 September. The presidency said the measure was taken in response to "assaults on public and private property as well as killings by extremist groups." 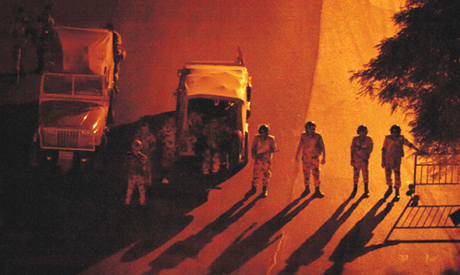 Egypt has been gripped by nationwide violence and turmoil since 14 August. More than 40 churches have been burnt or looted, allegedly by Morsi sympathisers. Meanwhile, North Sinai has witnesses violent confrontations between Egyptian security forces and suspected Islamist militants, with dozens killed on both sides.